The Dark Blues had to settle for a point in their bottom of the table duel against St Mirren at the Kilmac Stadium at Dens Park. Simeon Jackson put the Buddies ahead in the first half with a controversial penalty but Kenny Miller came up with a quick equaliser. Dundee had the better of the match but couldn’t find a winner. There were three changes to the Dark Blues starting line-up. Nathan Ralph and Benjamin Källman returned and Martin Woods made his first start for the club. Lewis Spence and Sofien Mousssa moved onto the bench and Andy Boyle was injured. St Mirren also made three changes, bringing in Kyle Magennis, Lee Hodson and Adam Hammill, replacing Stephen McGinn, Matthew Willock and Danny Mullen. Both teams were quickly into action and had promising attacks in the first couple of minutes. Dundee defended St Mirren’s opening move messily, but broke quickly through Benjamin Källman and Kenny Miller, whose shot from the edge of the area lacked the power to trouble Samson in the Buddies’ goal. A dangerous cross from the right by Adam Hammill almost allowed Simeon Jackson and Ryan Edwards in, but Jack Hamilton pounced on the ball before either could score. At the other end Källman saw a powerful header from Jesse Curran’s cross whistle past the post and Nathan Ralph’s fierce low drive from 22 yards was turned away well by Samson at full stretch. Kenny Miller’s header from a corner took a deflection and was looping under the crossbar but Samson managed to paw it away on the goalline. The Dark Blues were playing with more urgency and a faster tempo than in recent weeks and were looking dangerous coming forward. It was against the run of play when St Mirren took the lead after 20 minutes with a penalty that was as soft as a toddler’s teddy. Jackson turned and tumbled as he tried to take Hammill’s pass with Cammy Kerr at his side. Mr Madden awarded a penalty and JACKSON took the kick himself, slamming the ball into the net off the underside of the crossbar. 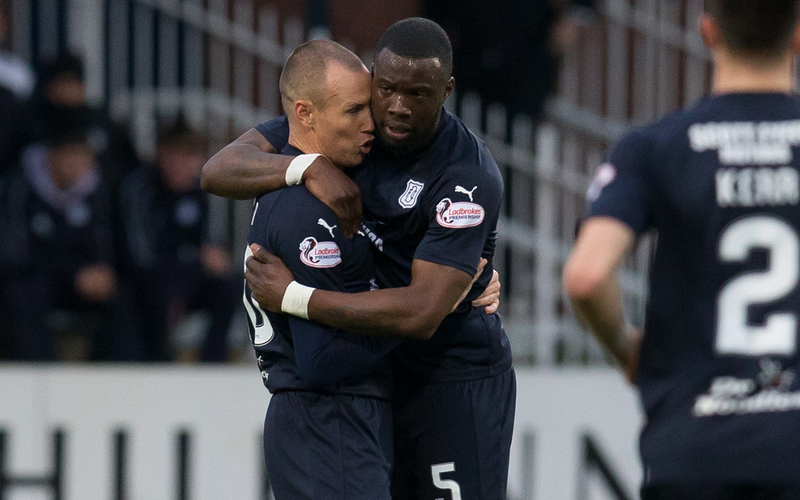 The goal rocked the Dee only fleetingly, and they fought back strongly to took charge again. The midfield and forwards were working hard, pressing and forcing mistakes in the Buddies’ rearguard. Anton Ferdinand lost the ball under pressure from Källman, who cut a cross back for Jesse Curran and his goalbound shot took a delection that sent the ball into Samson’s arms. When the equaliser arrived after 33 minutes it was well deserved. Källman pounced on an error by Ryan Edwards to drive towards the penalty area. His excellent low pass to the far post allowed Kenny MILLER to lash his first goal for the Dee high into the net. The Dark Blues were well on top and playing confidently and forcing the pace aggressively. New boy Martin Woods combined effectively with Glen Kamara, who was taking the chance to push forward more. The second half opened promisingly with the Dee still setting the pace. The two Millers combined promisingly on the left, but Calvin’s cross when free and in a good position wasn’t good enough and the Buddies were able to clear. 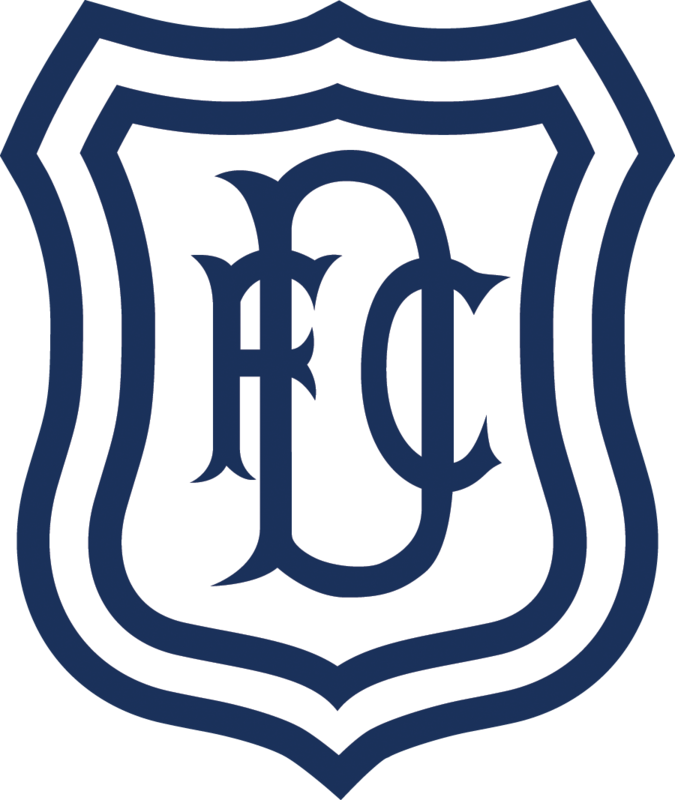 Dundee were exerting fierce pressure on the Buddies, with Curran having a fine spell on the right and Källman causing endless problems with his harrying and link up play. Sadly the Dark Blues couldn’t force the crucial second goal during this passage of play, and the frustrating truth is that midfield dominance and creating space in the final third were not turned into high quality final balls or clear chances. The Buddies weathered this storm and the last 30 minutes saw the quality of the game slip badly. The match went flat and St Mirren became more comfortable at the back and more ambitious coming forward without opening up Dundee’s defence or forcing Jack Hamilton to do anything difficult. Adil Nabi replaced Calvin Miller, and then the hard working strikers, Benjamin Källman and Kenny Miller made way for Sofien Moussa and Paul McGowan. Källman, in particular, had his best game for the Dee and he looked much happier and more effective with better support. There were five minutes of injury time but Dundee couldn’t stage a late charge at the away goal. A single point from a match that the Dark Blues should really have won was disappointing, and this was an opportunity missed. However, the overall performance was far better and the midfield in particular stepped up a level or two. They were more creative, more aggressive and provided better cover to the defence than has been the case earlier this season. Nathan Ralph had a solid game and he gave the team a better shape, as a specialist left back playing behind an adventurous left midfielder. The Dark Blues support was desperate for a win and to move off the bottom of the table. Unfortunately that wasn’t to be, but at least a point ends the dismal run of defeats and today’s performance offers some hope. Unused subs: Parish (gk), Inniss, Spence, Lambert. Unused subs: Rogers (gk), Baird, Cooke, Willock. Booked: Edwards (foul on Kerr), Jackson (simulation), Paul McGinn (foul on Kamara). Attendance: 5,552 (773 away fans). Referee: Bobby Madden. Assistants: Alastair Mather, Graham McNeillie. Fourth Official: Greg Aitken.